The MSC in Luxury & Fashion Management is the ideal program for professionals wanting to further their knowledge in business and specialize in the fast-growing, lucrative domains of luxury and fashion. 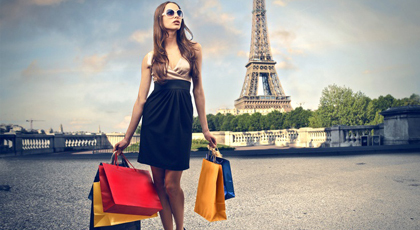 Students interested in Luxury and Fashion benefit from Paris' unique position in the world. Strong academic learning is made relevant through company visits and exploratory field trips. Guest speakers share their industry-specific knowledge with students, who may also participate in company projects. Learning is particularly dynamic and interactive: syllabi clarify the body of knowledge to be mastered, while reference textbooks facilitate student preparation and home-learning. Our experienced international faculty brings academic and professional learning to life. Our specialized faculty members utilize cutting-edge teaching methods. The MSC in Luxury & Fashion Management provides students with the tools and understanding necessary to create and promote luxury brands. This rigorous program lasts 12 months and covers all aspects of this lucrative industry including fashion, leisure, hotels, yachts, private jets, wineries and more. Key components of the program included comprehension of consumer behavior, marketing techniques, entrepreneurship and networking. We invite guest speakers from the luxury & fashion industries to give seminars throughout the year, giving our students the opportunity to create important links with professionals working in the field. International Brand Directors, International Product Managers, International Purchase Managers in Luxury Goods, International Luxury Business Development Managers, Buyers, and Fashion Consultants, etc.